Elizabeth Hawes (1901-1971) belonged to the first generation of American designers who succeeded in making a name for themselves as individuals outside the sphere of the Parisian couture. In 1925 Hawes graduated from Vassar College, where she was an economics major sympathetic to socialism, but she pursued an interest in fashion by participating in school theatricals and making her own clothes. By graduation she had decided to go to Paris and learn fashion design. Hawes spent the next three years in various positions within the couture business: as a design copyist, journalist, and assistant designer. During this time she wrote a fashion column for The New Yorker, using the pen name "Parisite." She also worked briefly for Nicole Groult, the sister of the designer Paul Poiret. Her life in Paris was divided between socializing with her wealthy Vassar friends and engaging in the bohemian life; she spent much of her time with an artistic crowd, including the sculptors Alexander Calder and Isamo Noguchi. 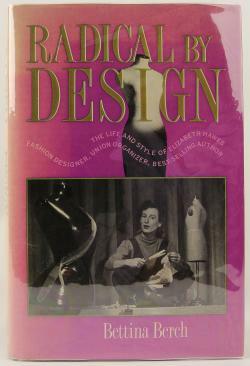 Hawes's Vassar education gave her the critical faculty to dissect the couture industry and the fashion press, while her social connections and her exposure to couture at the highest levels left her ambivalent about fashion, a feeling that grew all the stronger for her love of its creative potential. In 1928 Hawes returned to New York and started her own custom dressmaking business with a Vassar classmate, Rosemary Harden. Harden left the business one year later, and Hawes decided to continue on her own as Hawes, Inc. Advertising, for which Hawes herself wrote the copy, helped business pick up significantly. Calder and Noguchi designed decorative objects for her New York showroom and influenced Hawes's own work. In 1930 Hawes married the artist Ralph Jester, whom she had known in Paris; they divorced in 1934. In 1932 Hawes and two other young American designers were promoted by the Lord and Taylor department store. This was one of the earliest attempts (if not the first) to prove that there was homegrown talent worthy of the public's notice. Hawes fully understood the power of publicity and exploited it. The ensembles in her collections were named according to themes: Spring/Summer 1933 was political, and the collection included such ensembles as "The Five Year Plan," a cotton nightgown and bed jacket; "the Yellow Peril," a silk afternoon dress; and "Disarmament," an embroidered evening dress. Her work was characterized by a bold use of fabrics-wide strips and large prints were used in simple, comfortable silhouettes. Hawes was an early advocate of trousers for women and wore them often herself. "Style …gives you the fundamental feeling of a certain period in history. Style doesn't change every month or every year…. Fashion is that horrid little man with an evil eye who tells you that last winter's coat may be in perfect physical condition, but you can't wear it. (pp. 5-6) "
Hawes's criticism was not limited to women's clothing; she maintained that men needed to be freed from their conservative attitudes toward clothing. She staged an all-male fashion show in 1937, showing brightly colored clothes of her own design. This led to her next book, Men Can Take It, published in 1939. She could be considered the Dorothy Parker of fashion criticism, with her snappy tone and tell-it-straight attitude. Hawes, Inc., closed early in January 1940. The onset of World War II had firmly awakened Hawes's social conscience, and she felt that being a fashion designer was not an appropriate career for her at that time. She became committed to her career as a writer, becoming involved in writing for the new left-wing paper, PM. In 1943 she took a job in a munitions factory for three months and then relocated to Detroit to work for the United Auto Worker's Union, where she also wrote for the Detroit Free Press. The result of her war work was her fifth book, Why Women Cry; or, Wenches with Wrenches (1943). 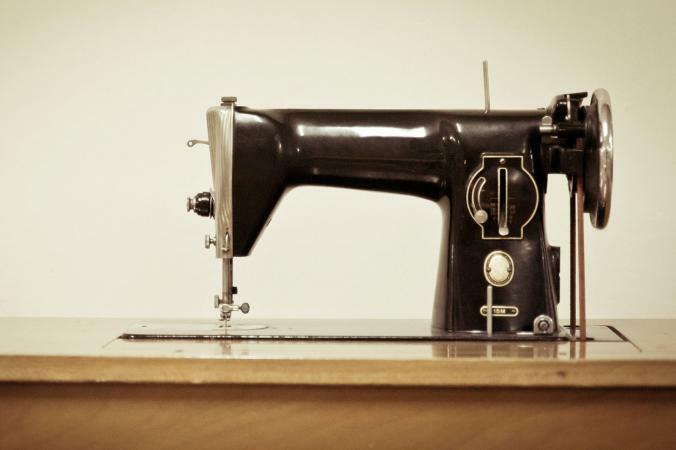 In 1948 Hawes made a last attempt at the fashion business and reopened Hawes, Inc., for eleven months. To demonstrate the timelessness of her designs, she played a game at the inaugural show, making guests guess which designs were new and which were from 1930s collections. Hawes settled in Southern California in the early 1950s. While she experimented with the production of knitwear, creating simple shapes decorated with abstract patterns, she spent the majority of her time writing. Her most rewarding experience during this period was her association with the young designer Rudi Gernriech, in whom she found a kindred spirit. In 1967 a retrospective of their work was mounted at the Fashion Institute of Technology. Hawes moved back to New York in 1967 and lived in the Chelsea Hotel until her death on 6 September 1971. In total, she published nine books on fashion and culture as well as numerous articles in journals ranging from the left-leaning PM to the Ladies' Home Journal. In reality, her clothes did not appear radical for their time; it was her outspoken philosophy that set her apart. See also Fashion Designer; Fashion Journalism; Paris Fashion; Politics and Fashion. Berch, Bettina. Radical by Design: The Life and Style of Elizabeth Hawes. New York: E. P. Dutton, 1988. Elizabeth Hawes. "The American Designer Has Not Yet Been Born." Magazine of Art April 1937. --. 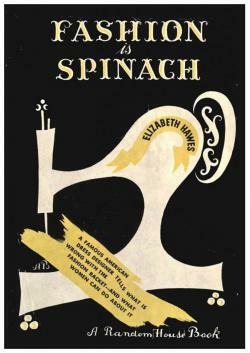 Fashion Is Spinach. New York: Random House, 1938. Mahoney, Patrick. "In and Out of Style." Vassar Quarterly 82, no. 2 (Spring 1986): 8-10.